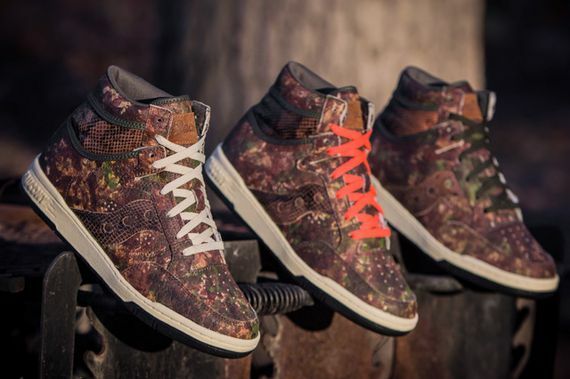 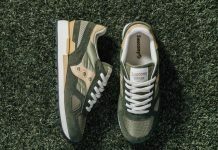 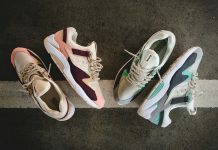 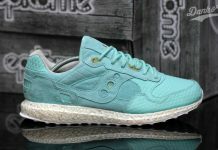 Packer Shoes x Saucony - Hangtime "Woodland Snake"
Saucony and Packer Shoes recently joined forces, and instead of pumping out another Shadow silhouette in some new colorway, they decided to take the oft forgotten Hangtime and turn it on its head. 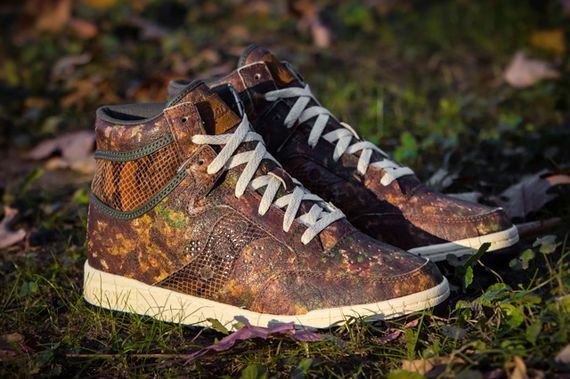 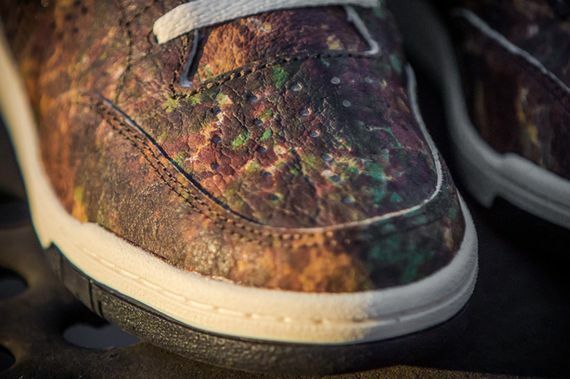 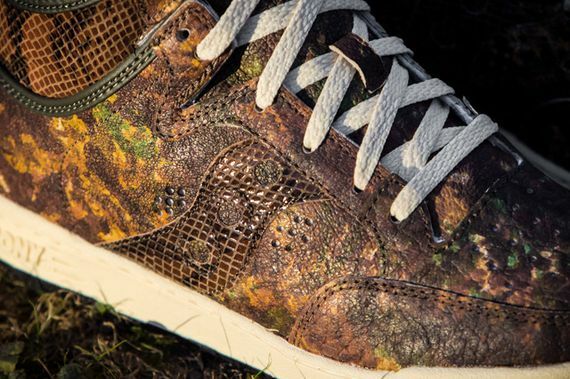 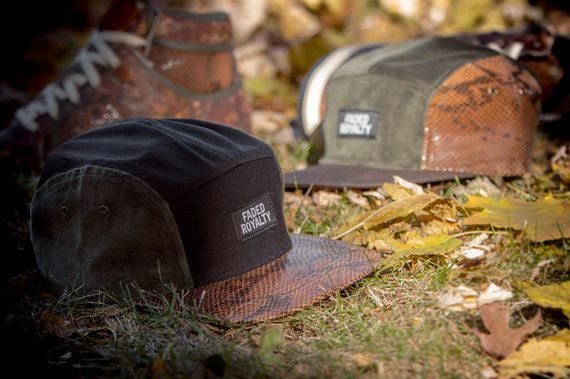 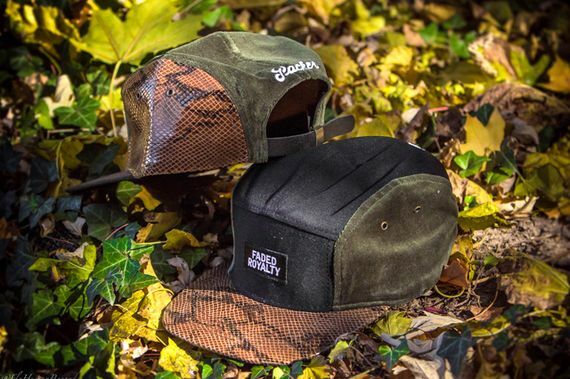 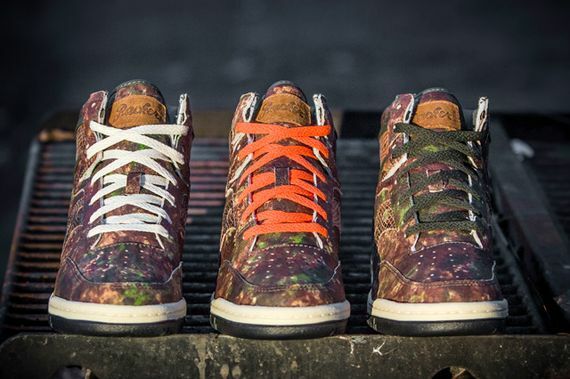 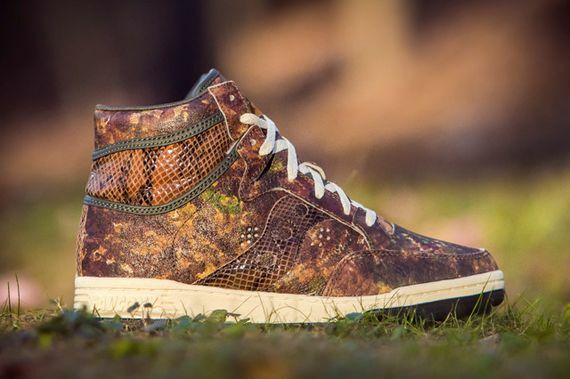 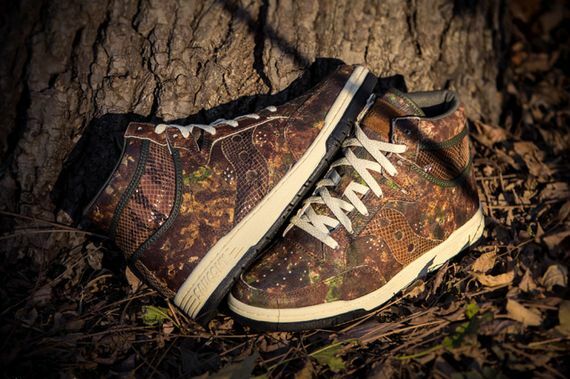 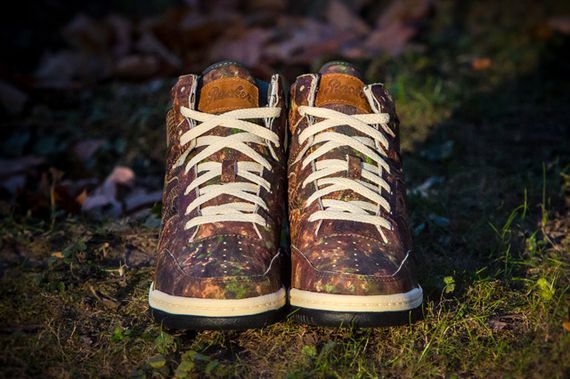 These killer hightops feature a leather “Woodland” themed upper that plays nicely with the snakeskin accents that run throughout. 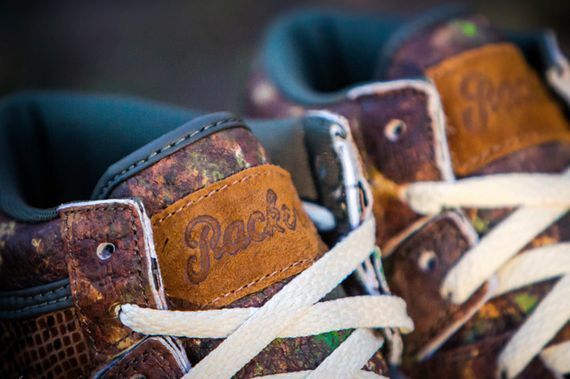 The outdoorsy nature of these kicks gives these a truly one of a kind feel, and if you’re feeling these revamped 80’s kicks mark your calendars as these hit shelves Friday, November 22nd via Packer Shoes.